When we designed and built our first Gradient 1.0 loudspeaker, we had no idea how strong and everlasting symbol for our company it would eventually become. A product that has stood against time all these years. The idea of making a perfect loudspeaker led us to the path we are still travelling. Discover the new Gradient 1.4. For years to come. It was just 35 years ago when we decided to take our own way and not to follow anyone else. Not to fall industry conventions and evident solutions. With one single goal: to design a loudspeaker that sounds excellent in all kinds of rooms. Now we have added another chapter to the legendary Gradient 1.-line. The sprit of the Gradient 1. - speakers combined with the inventions we have made during all these years make the 1.4 a real unique loudspeaker, destined to become an instant classic. The first coaxial structure in our speaker elements was carried out in Revolution model, launched in 1993. Thereafter, several versions of the coaxial drivers developed together with Seas have been used in our loudspeakers. The new Gradient 1.4 is the first speaker utilizing our latest coaxial technology made exclusively for Gradient in Norway. A 176mm pre-coated reed paper cone handles frequencies up to 2.5kHz. High frequencies from 2.5kHz to over 20kHz are reproduced by a 25mm Al/Mg-dome tweeter placed at the apex of the midrange cone. Such a point source is generally accepted as an ideal sound source for its excellent phase and amplitude response. The end result is an extremely accurate, stable and three dimensional soundstage. To minimize reflections from the speaker cabinet, the coaxial element is mounted in a spherical enclosure. The sphere is an ideal form with no structural interfaces and discontinuities. Still Gradient is not Gradient without something completely new and unique. From the very beginning it was clear that the Gradient 1.4 will utilize our acoustic resistance enclosure - technology, like used in many previous Gradient models. Now this is made as perfect as possible: Symmetric spherical housing leaks “anti sound” from the opening behind the sphere, cancelling backward radiation and early reflections from the surfaces behind the loudspeaker. Thus from 200Hz up, the speaker radiates sound mainly in the forward direction. The rear radiation is effectively damped by having a power ratio of 100 to 1. Special attention has also been taken that the radiation patterns are consistent at all frequencies. In a nutshell: the room influence to the sound remains very small giving the Gradient 1.4 a very similar sound characteristic in many different rooms. Low frequencies below 200Hz are reproduced by a bass-reflex enclosure tuned at 27Hz. Large cross-section area of the reflex tunnel guarantees no breathing noise even at high sound levels. 220mm long throw woofer made by Seas in Norway is facing towards the floor. The woofer has an extremely stiff aluminium cone giving tremendous bass precision. Gradient 1.4 follows functionalism. Every aspect in the form has a meaning. Acoustic design and function determine the shape. There is nothing more to add - there is nothing left to take away. 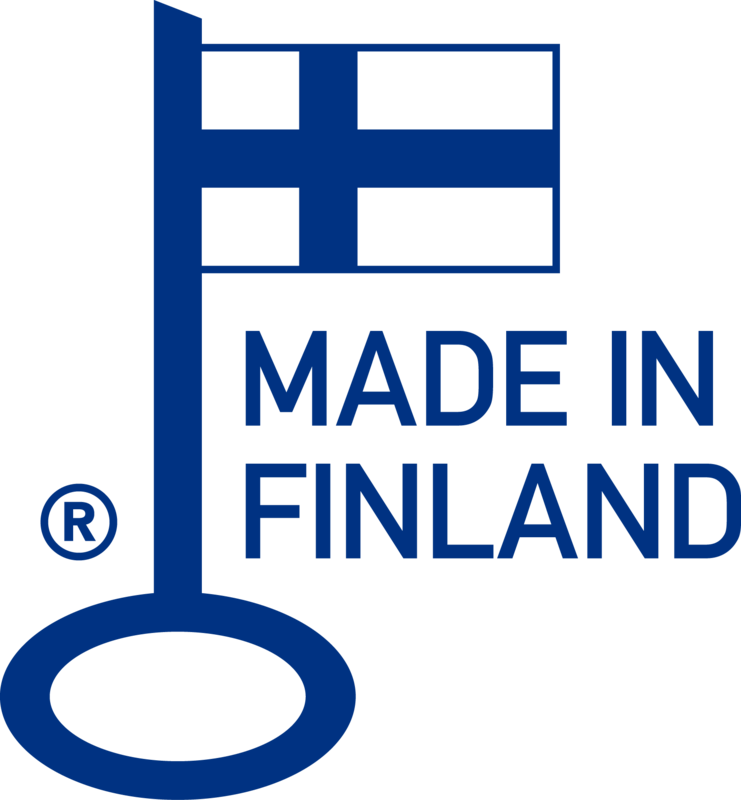 The cabinet of the speaker is made of advanced techno polymer in Finland. Together with the ideal form of the speaker exceptional combination of stiffness and rigidness is obtained to eliminate cabinet vibrations. The finishing of the speaker cabinet, available in graphite black and white, is durable providing easy to clean and long-lasting surface. For years to come. Drivers 1x220mm long throw woofer, 176mm pre-coated reed-paper cone midrange, coaxial Al/Mg dome 25mm. Features Adjustable listening angle for midrange and treble.